While it is difficult to find a job, the tougher task is to crack the interview. Interviews can be a nerve-racking experience for most of the job seekers. The very thought of facing a panel of professionals throwing up one question after another can give jitters to some. 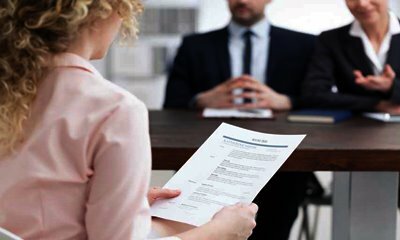 While it is important to know what to say in an interview, equally essential is to know the statements that can be the ultimate deal-breakers. Overconfidence is a big no-no during the course of an interview. While exhibiting confidence is very important, you should also know when and where to draw the line as showing overconfidence will only annoy your interviewer. Experts say one must not seem arrogant during an interview. There is no harm in expressing your thoughts, but do think once before making negative comments about the people you have worked with previously. There might be a need to refer to a person in various contexts, in pleasant or unpleasant ways, but make sure to not sound negative in your actions words. Bad-mouthing will only ruin your chances at the interview. While appearing for a job interview, make sure you look sincere. Getting distracted by answering calls or texts will not leave a good impression on the interviewer. Distraction makes a candidate appear uninterested in the job. Complaining is never considered worthy. A job seeker should never talk negatively about their previous organisation. It is regarded as unprofessional and sets off an alarm bell in the mind of the next employer, prompting them to wonder whether the candidate may have difficulty in workplace relationships. Candidate should only focus on what they have learned in their previous organisations without painting the employer in a negative light. Remember the saying 'the first impression is the last impression'. This holds true in a job interview too. Experts believe that few companies' heads still believe in first impressions. Candidates generally end up answering the questions thrown at them, what matters to the employer is your passion for work, details, skills and experience. Market yourself better to get the best deal. Those who put in an extra effort during the interview to please and appease the interviewer may end up modifying their responses and not being who they are. The stress of not having a job in hand can cause this altered behaviour. This is a major mistake because this way you are trying to be someone else and ultimately end up losing the job to someone else. The expectation from the candidate is to present a clear picture of their adaptability and core competency. Do not try to retrofit your previous experience with that of the role you are interviewing for. Roles and their execution change from organisation to organisation. Focus on the skills and competencies you bring to the table and leave it to the interviewer to assess whether it is the right competency for the role.